The Airport Way restaurant was constructed in 1970 and is over 4,200 square feet. Recent additions have made this restaurant extra spacious and even more popular. 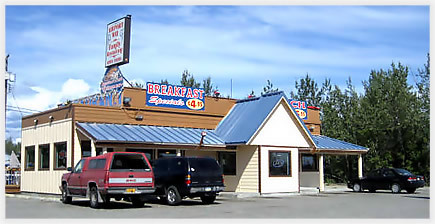 As the name suggests, this restaurant is located on Airport Way, across the street from the movie theater.